Carrie H. Hale writes in thanks for the 25th anniversary calendar and encloses a contribution of $6.25 - 25 cents for each year. 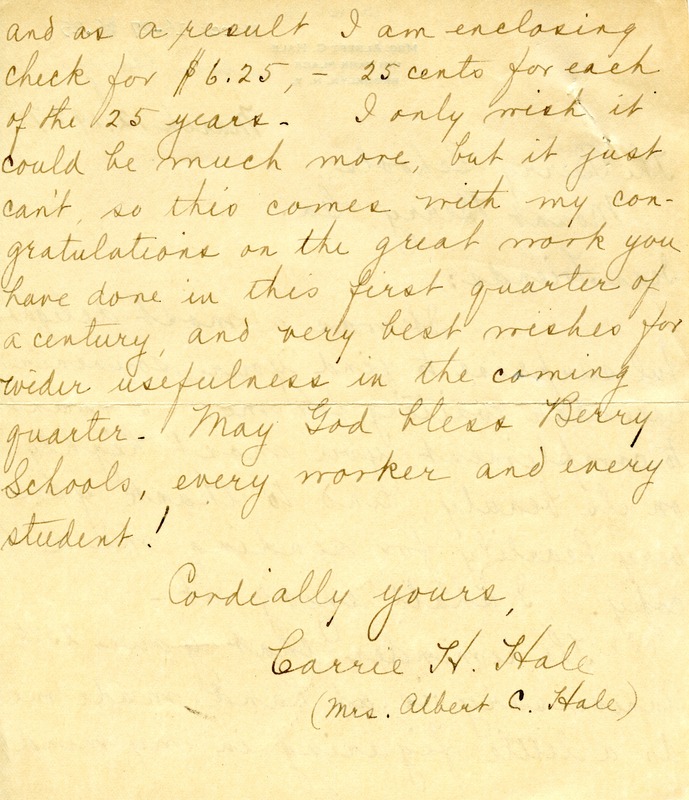 Carrie H. Hale, “Letter to the Berry Schools from Carrie H. Hale.” Martha Berry Digital Archive. Eds. Schlitz, Stephanie A., Rachel Renaud, Sherre Harrington, et al. 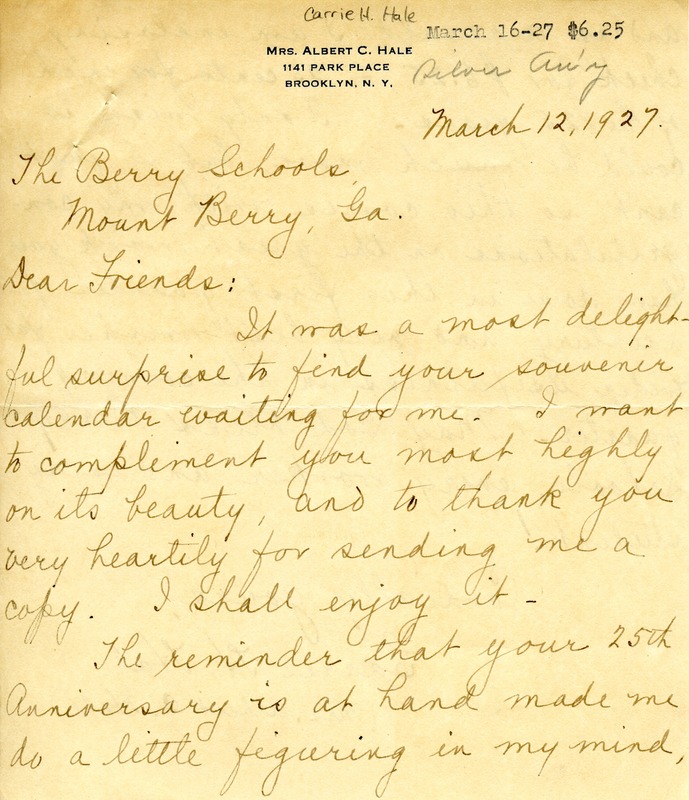 Mount Berry: Berry College, 2012. accessed April 21, 2019, https://mbda.berry.edu/items/show/4350.